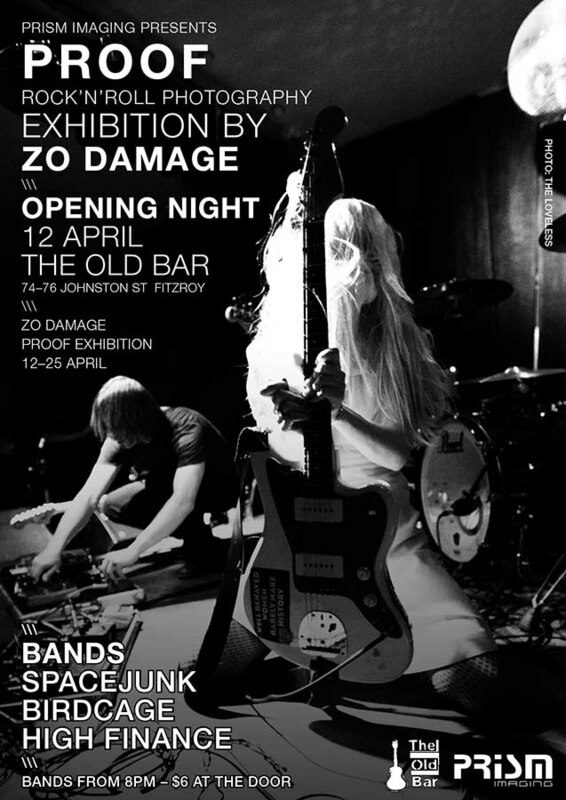 The PROOF exhibition, on show at The Old Bar Gallery this April, showcases the work of artist Zo Damage as she documents and highlights Melbourne's underground music scene and the world she lives in. PROOF captures the feeling of great live performance. ZO presents the scene in a way that is emotionally honest and totally raw. All the photos in the PROOF EXHIBITION are presented UNFRAMED! You will come away from PROOF with the feeling of being there, in the thick of things. I love that people can look at the moments with no glass or barrier standing between them. It's raw. Raw is good.